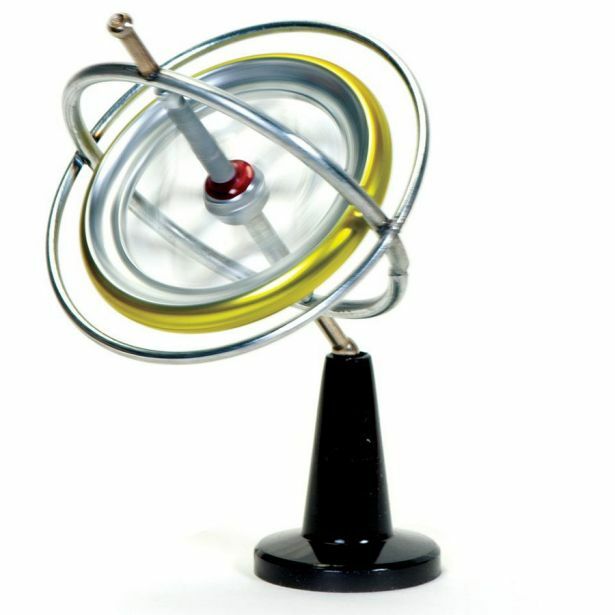 Young minds love to watch as this classic toy seems to defy gravity. It's hands-on learning of the principle of physics that is the stabilizing force behind race cars, monorails, autopilot, and upright robots! What will your little scientist think to use it for? 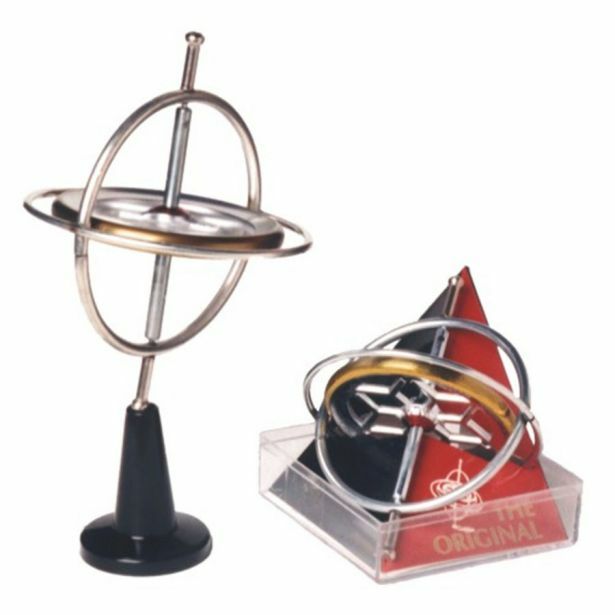 Good quality classic metal gyroscope with string, pedestal and booklet in a plastic box.